The official release under Microsoft Studios for Russian players was cancelled in 2015. However, Halo Online is playable worldwide with the ElDewrito Mod, which is now essential for play. As such all guides on this page are in reference to the aforementioned mod. r/HaloOnline Subreddit for Halo Online and ElDewrito Help and Discussion. Not officially available. Requires the ElDewrito Mod to play the game. Provides Bug Fixes and Quality of Life improvements including 21:9 Support, extended FOV Slider and Raw Mouse input. Players can host Multiplayer and Forge Games with up to 16 Players with this Mod. The ElDewrito Mod's development has been put on hold until further notice, due to discussions with Microsoft regarding the reverse-engineering of their Intellectual Property - Game can still be played in spite of this just no further updates. 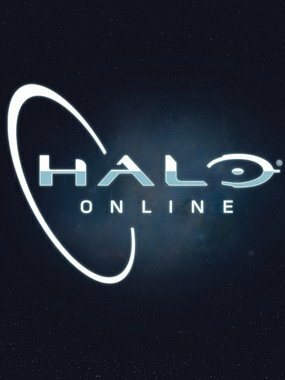 Obtain the "Halo Online 1.106708 cert_ms23" archive. Download the ElDewrito Updater which can be found on the r/HaloOnline Get Started Page. Extract the Base Halo Online files that were obtained earlier, and then the Updater archive into the same directory. Run <path-to-game>\updater.exe and update to 0.6.0. Once updated the user will need to run the Updater again to update to 0.6.1. Launch <path-to-game>\eldorado.exe to play the game. 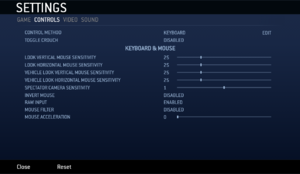 In order to access game settings on keyboard and mouse, press Home from the main menu. Bundled as part of "Texture Filtering" Setting. 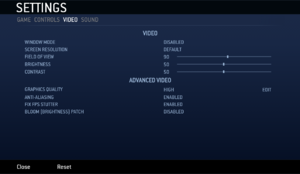 In-game general gamepad settings - also showing the "Halo Online Default" gamepad scheme. Requires a Keyboard and Mouse to navigate certain menus. In-game "Halo 3 Default" gamepad scheme. In-game "Halo 3 Southpaw" gamepad scheme. In-game "Halo 3 Boxer" gamepad scheme. In-game "Halo 3 Green Thumb" gamepad scheme. In-game "Halo 3 Bumper Jumper" gamepad scheme. 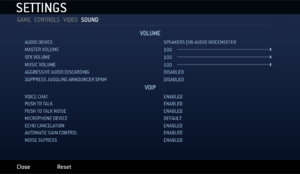 In-game "Halo 3 Walkie Talkie" gamepad scheme. In-game "Halo Reach Default" gamepad scheme. In-game "Halo Reach Southpaw" gamepad scheme. In-game "Halo Reach Boxer" gamepad scheme. In-game "Halo Reach Green Thumb" gamepad scheme. In-game "Halo Reach Bumper Jumper" gamepad scheme. In-game "Halo Reach Recon" gamepad scheme. 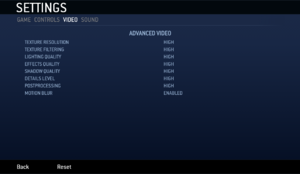 In-game "Halo 4 Default" gamepad scheme. 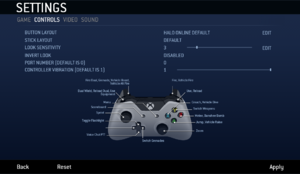 In-game "Halo 4 Southpaw" gamepad scheme. In-game "Halo 4 Boxer" gamepad scheme. In-game "Halo 4 Green Thumb" gamepad scheme. In-game "Halo 4 Bumper Jumper" gamepad scheme. 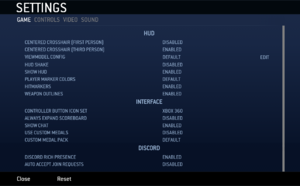 In-game "Halo 4 Recon" gamepad scheme. In-game "Halo 4 Fishstick" gamepad scheme. ElDewrito UI and In-game HUD does not respond to Language changes and remains in English. Start the game with -multiinstance parameter. The best way to report game issues to the ElDewrito community and get assistance, is via the mod's latest bug report thread. The game has a bug whereby Contrails cause the game to crash, notably on RTX GPUs. Download the Unofficial Mod Patch which fixes the RTX GPU crashes when the game uses contrails. Navigate to <path-to-game> and replace the binkw32.dll with this one. If the player has used the previous version of this fix, they must also download the original mtndew.dll file - which is also included in the link - and replace the modified mtndew.dll with the original one. Enable the Bloom (Brightness) Patch in the game's Advanced Video settings, and restart the game. The RTX crash is fixed by this patch while also not modifying the mtndew.dll file, allowing players to still be fully updated - and fix all known issues of the previous release. This page was last edited on 27 January 2019, at 23:17.